1. Hold the Left button and provide input voltage. When the display starts flashing, release the button. 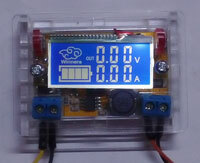 Display will show a voltage around 5V. Turn off power and then turn on. 2. 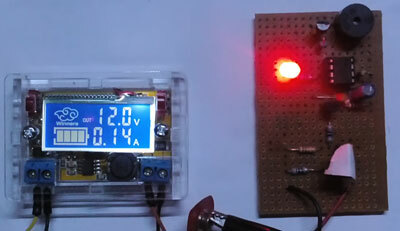 Using a Multimeter, measure the output voltage. It can be near 5V. If it is above 5V or below 5V, repeat the Calibration. 3. 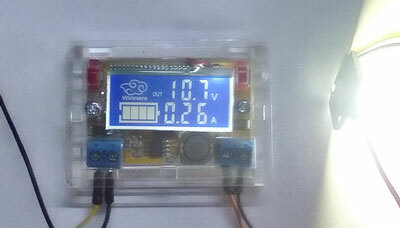 After few calibrations, you get equal voltage both in the LCD display and in the Multimeter. 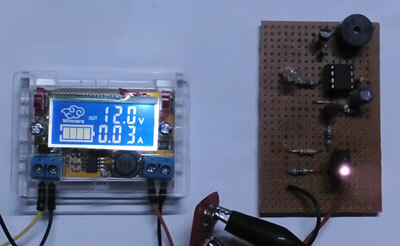 You can see a voltage near to 5V (4.9, 5.1 V etc). Errors can be calculated in 0.04 V. If the error is more, calibrate again. A variation in few Milli volts can be ignored. This can be due the error in the Multimeter. 4. 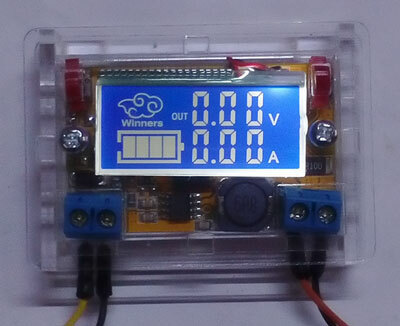 Provide any input voltage above 5V. Maximum input voltage is 20 V.
5. Press Right button to get desired output voltage. 6. Connect the load, to the output. You can see the current drawing by the load. 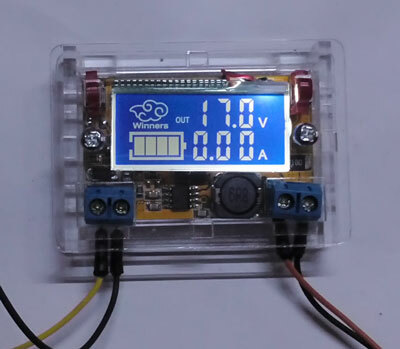 It can be between 0.01 A ( 10 mA ) to 3 Amps maximum, if the input supply has 3Amps rating. 7. Right button is for increasing the output voltage while the Left button is for decreasing the output voltage. 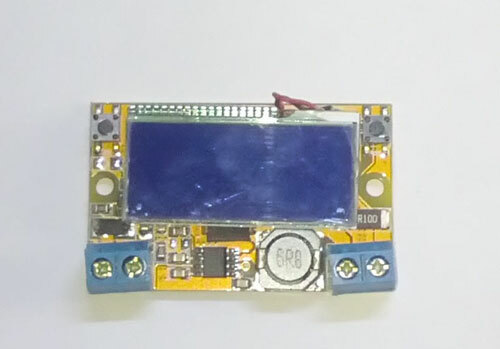 When the Proximity Sensor becomes active, it is consuming 140 mA current.